From the beginning of time, even before humans formed businesses to collaborate, successful societies revolved around teamwork. Today, successful organizations in every sphere of life rely on teamwork, with people working together toward a common goal. I have been a member of many teams–and supported many others–through various management positions, and now in my coaching practice. 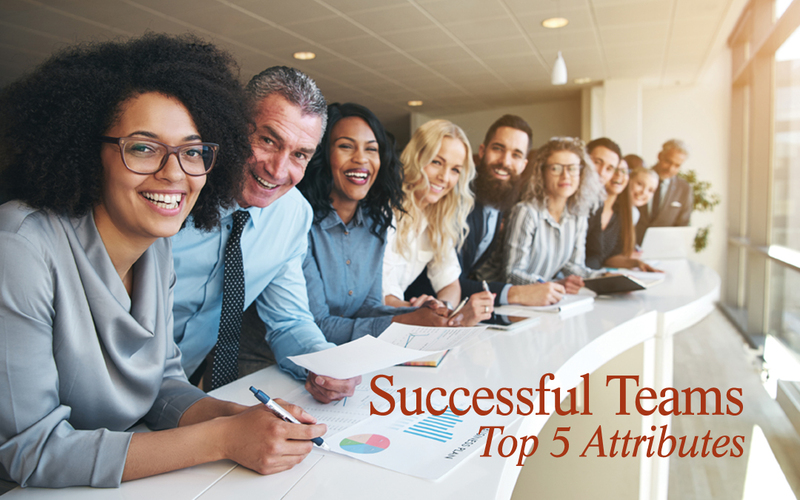 For today’s article, I have chosen my top 5 attributes of a team. When fostered and embodied by everyone, these attributes lead to cooperation, collaboration and genius that cannot be created by a single individual. I’ve included some favorite sayings and quotes that have been shared over the centuries about teamwork, collaboration, and cooperation. Enjoy them, and inspire yourself (and others) to remain motivated; work together toward building and maintaining a winning team! If you are the one communicating, you are responsible for getting your meaning across in the way you want it to be understood. Teams count on this from leaders and each other so the lines of communication are clear and the path to success is agreed upon. Trust happens when communication is open, individual talents are recognized, and everyone counts on each other to bring their best to the team. Individual commitment and mutual trust foster group trust. In a team where trust is evident, everyone on the team refers to the team rather than the individual. Maya Angelou’s quote comes to mind when I think of team responsibility: “I do my best because I’m counting on you counting on me.” Successful teams do count on each other to hold them accountable. The stronger the team, the more each member takes responsibility, and the greater every member senses the team is counting on them. Successful teams learn to be flexible. No plan goes according to plan, so the team that is flexible and able to maneuver around change can be the most creative, agile and forward-thinking. Contact me to learn how your team can help you achieve your goals and how you can help them achieve their goals.